I’m very excited to begin this Synapse residency, generously supported by the Australian Network for Arts and Technology (ANAT). This residency is a collaboration between myself and Prof Ted Maddess at the department of Neuroscience at the John Curtin School of Medical Research. The project is titled Abstract Digital: Exploring the Art and Science of Visual Perception. Art can tell us a lot about the brain. In particular, abstract art can demonstrate how the brain processes our visual world. This is because abstraction is a simplification of a visual scene. In the Modernist period, artists such as Paul Klee painted flat patterns which appeared to have depth. Marc Rothko applied paint in such ways that viewers’ eyes were not drawn to any particular central point on the canvas, offering multiple perspectives. More recently, James Turrell’s installations show how our sense of space can be altered by colour. Each of these artists have created immersive works that evoke contemplation and reflection, generating a meditative state in a viewer. These works show us some of the principles of visual perception that dictate how we see. In this project, we will use computer mediated reality to experiment with combining principles of visual perception and art. Unlike virtual reality or augmented reality, computer-mediated reality can both add information and subtract information from a view of a user’s environment. This will be achieved through the use of a wearable computer or hand-held device such as a smart phone. Section from Albrecht Dürer’s (1514) Melancholia, engraving. Our preliminary testing shows it is possible to transform 2D images into abstract digital artworks for viewing on a traditional computer screen. The image above is a section from Albrecht Dürer’s Melancholia (1514) engraving. 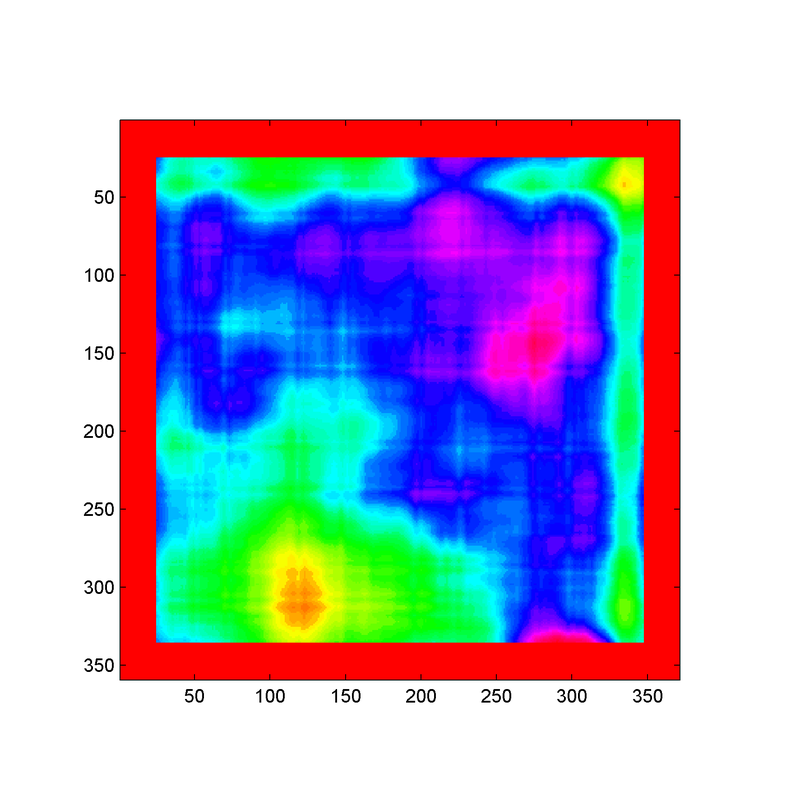 This 2D image formed the basis of our preliminary experiment. 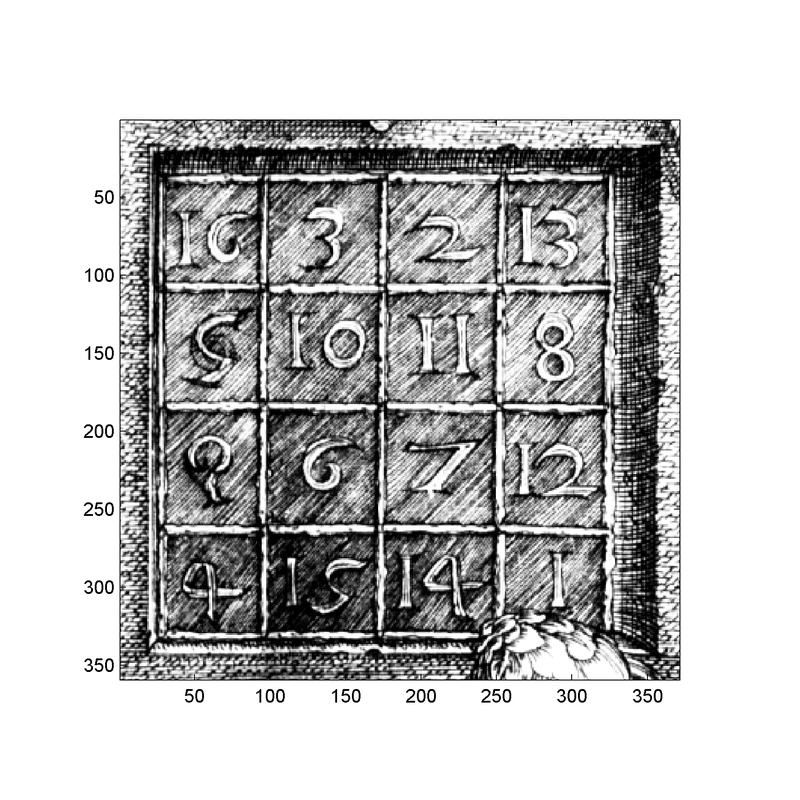 Transformation of Dürer’s image using a nonlinear median filter. The darkened image above is a transformation of Dürer’s image using a nonlinear median filter that preserves edges but smoothes other parts of the image. 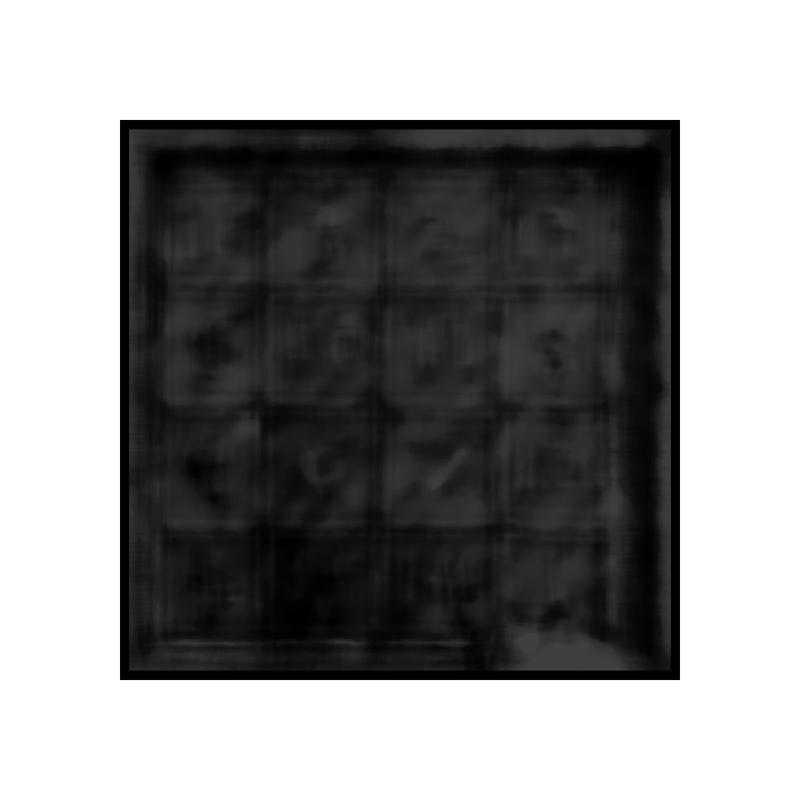 Here we aimed to generate a Rothko-like image. 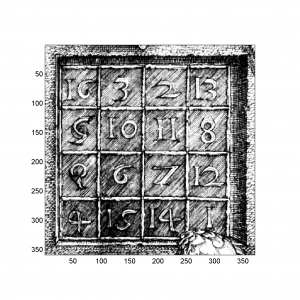 Transformation of Dürer’s image using a related nonlinear filter that manipulates colour. This final image is a transformation of Dürer’s image using a related nonlinear filter that manipulates colour by mimicking visual brain function. Work on the transformation of 3D objects into digital artworks and the precise filters required remains to be investigated. Looking forward to experimenting more with filters as the project develops!